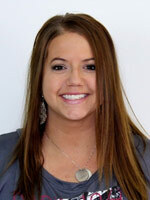 Rachel has worked with Dr. Blackwood for almost 2 years and has worked in the dental field for over 6. She is a central part of our office. Her favorite thing about working here is being friends with our patients and giving them the best possible care. Rachel enjoys spending time with her cute hubby and 3 darling children. When she isn’t being Super Mom, she enjoys movies, the theatre and singing. Bursting into song is a regular occurrence for her, to the embarrassment of her kids. 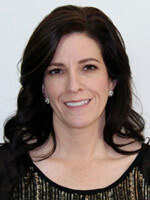 Andrea is a new addition to our office, however has worked with Dr. Blackwood in years past. She has worked in the dental field for over 13 years. She grew up and currently lives in Sandy. Andrea is married and has two beautiful daughters. Running has recently been a fun activity for her, and she has participated in three half marathons this year. As a family they enjoy camping, hiking, football, and gardening. Their family has two dogs and two cats and would have more animals if city ordinances allowed. Mindy has been working in the dental field for about 12 years, 8 of those years as a dental hygienist and 5 of those years she’s been working for Dr. Blackwood. She tracked him down after seeing the work he’d done at a previous office where she worked and he had previously worked. It was AWESOME…so she Googled him, called him up and asked for a job. He’s a sucker and hired her and she has loved working here ever since. The patients are the best in the world!! Aside from work, Mindy loves her little family and gets excited to come home to them after working all day. She and her husband Jake have been married just over 5 years. They live in Bountiful and have a 3 year old boy, an 18 month old girl and another girl expected to arrive in January. She loves to garden, run (when she’s not pregnant) and she gets 7-Eleven Slurpees at least once a week. On a side note, she flosses every day!! 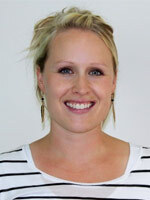 After working in the dental field for several years, Lizzie decided to get her Bachelor’s Degree in Dental Hygiene. 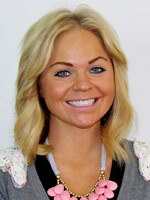 She graduated from the Utah College of Dental Hygiene in 2010 and hasn’t looked back since.